The new Aquarian Ice White Reflector drum heads, inspired by drumming great Eric Moore, feature a new 2-Ply Hybrid Film combination that enhances the stick attack when played at higher volumes. 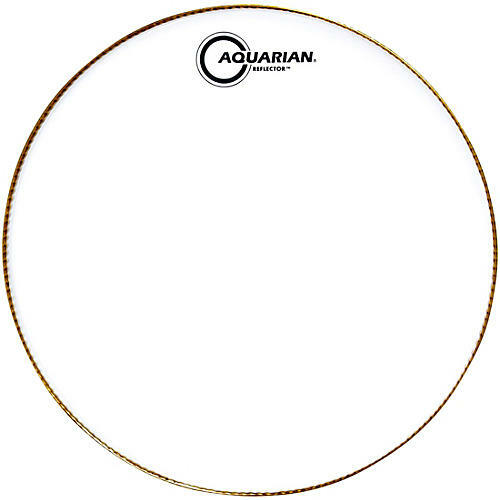 Like the original line of Aquarian's two-ply Reflector heads, they are meant to be played Hard, Fast and with emotion! This new 17 mil Aquarian Hybrid film combination makes Ice White Reflector heads both durable and musical. The Bottom ply uses Aquarian's 10 mil White drum head film which is denser, stiffer and brighter than their standard material. The top layer uses Aquarian’s clear seven mil drum head film for warmth. The result is a reflective white playing surface that adds even more personality to the performance. The Aquarian Safe-T Lok Hoop makes for a quick and easy tune-up every time.